A versatile water soluble color pencil, the super slim artist-quality Aquarelle can be used wet or dry. Cased in California cedar wood, each pencil has a slim, hexagonal shape. 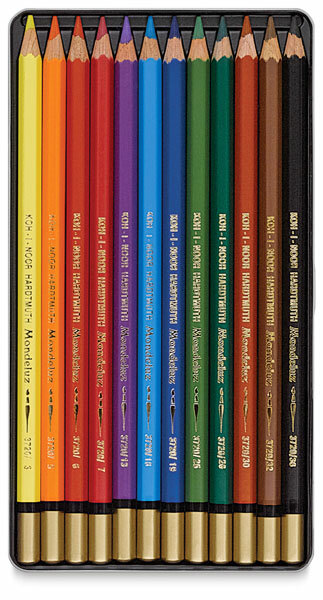 Pencils are highly pigmented and ideal for drawing, sketching, and coloring. ® Koh-I-Noor is a registered trademark. Mondeluz is a trademark.